Juniper Glass, “Decades of Change: A Short History of International Development Organizations in Canada,” The Philanthropist: Reimagining the Nonprofit Sector, 11 May 2015. IDRC at 40: A Brief History. In celebration of 40 years of research for development, IDRC is pleased to announce the publication of IDRC at 40: A Brief History. Radio program, Ideas, “Ideas from the Trenches – Just Trying to Help“, cbc, 15 September 2015, 55 minutes. SSHRC Storyteller winner. Ermisch, Marie-Luise, “Report Back: Voluntary Action History Society Fifth International Conference, University of Huddersfield, 10–12 July 2013,” History Workshop, 77 (Spring 2014) , p. 331-337. Roberts, CWJ, “Sino-Canadian Military Competition and Cooperation in Africa,” China and Canada in Africa: Interests, Strategies and African Perspectives, ed. Andy Knight and Gordon Houldon (Farnham: Ashgate, forthcoming). “Modern Missionaries: Canadian Postwar Technical Assistance Advisors in Southeast Asia,” Journal of the Canadian Historical Association 20 no. 2 (2009): 86-111. Research Guide of the International Committee of the Red Cross. Fieldston, Sara. Raising the World: Child Welfare in the American Century. Cambridge: Harvard University Press, 2015. 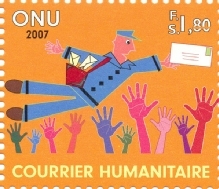 Le Mouvement Social, Avril 2009, numéro spécial sur “L’humanitaire aux XIXe et XXe siècles”. “L’humanitaire: Au delà de l’urgence”, special issue of Vacarme, (France) 1997. [An early reflection on dilemmas and words very worth reading, With an interview of Rony Brauman, thanks to E. Davey’s Tweet for the reference]. Klose, Fabian, ed. The Emergence of Humanitarian Intervention: Ideas and Practice from the Nineteenth Century to Present. Cambridge: Cambridge University Press, 2016. Roberts, CWJ, “The Other Resource Curse: Extractives as Development Panacea,” Cambridge Review of International Affairs 28, no. 2 (2015): 283-307. Roberts, CWJ, Commissioned report for North-South Institute (Tim Shaw and Hany Besada, eds. ), “Extractive Sector Regulations in Africa: Old practices, and new models for change,” as part of “Governing Natural Resources for Africa’s Development” theme, plus conference participation (Ottawa, May 2013): (a short policy version released May 2014 ). Roberts, CWJ, “Mali’s Post-Crisis Crisis,” Embassy Newspaper (Ottawa, 29 May 2013). Roberts, CWJ, Commissioned Report by Canadian Defence and Foreign Affairs Institute on (mining) investment outlook for Burkina Faso and Mali (Published April 2013). Roberts, CWJ, “What’s at stake in Mali?” Embassy Newspaper (online daily update), 10 January 2013. Roberts, CWJ, “China and Canada in Africa” (Ottawa, 20-21 September 2012) Conference Summary Report, with Rob MacIntosh (October 2012). Roberts, CWJ, “Nexen deal reflects new global division of labour,” Embassy Newspaper (Ottawa), 1 August 2012. Roberts, CWJ, “Not just another coup in Mali,” Embassy Newspaper (Ottawa), 28 March 2012. Roberts, CWJ, “Canada should engage China via Africa,” Embassy Newspaper (Ottawa), 29 February 2012. Roberts, CWJ,”Canada, Africa, and the UN: Misreading the importance of the Africa relationship,” Vanguard Magazine (December 2010-January 2011, Ottawa). Roberts, CWJ, “Changing the Game: The Chinese approach to African Development” Vanguard Magazine, May-June 2008. Roberts, CWJ, “Africa-Stan: Afghanistan’s Lessons for a whole-of-Canada Africa strategy,” Vanguard Magazine, Jan-Feb 2008.